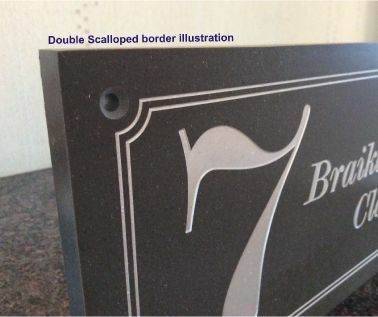 Brunel Engraving believe our beautiful Slate effect Corian Nameplate will enhance any company profile. 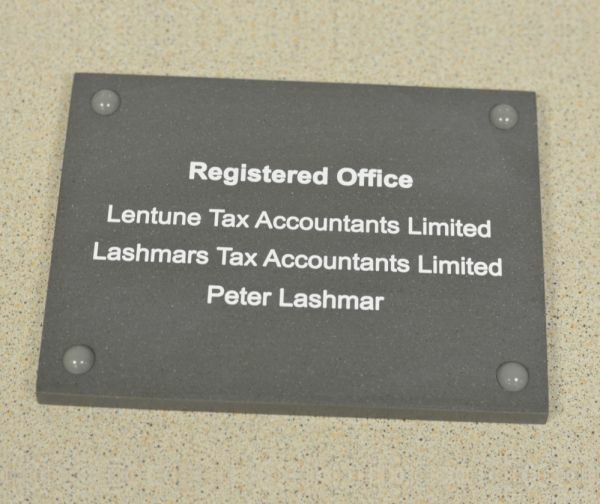 Manufactured in a 12mm thickness with bevelled edges, engraved to your own specific requirements and infilled with a prominent colour of your choice, these plaques will maintain their fabulous look for years. 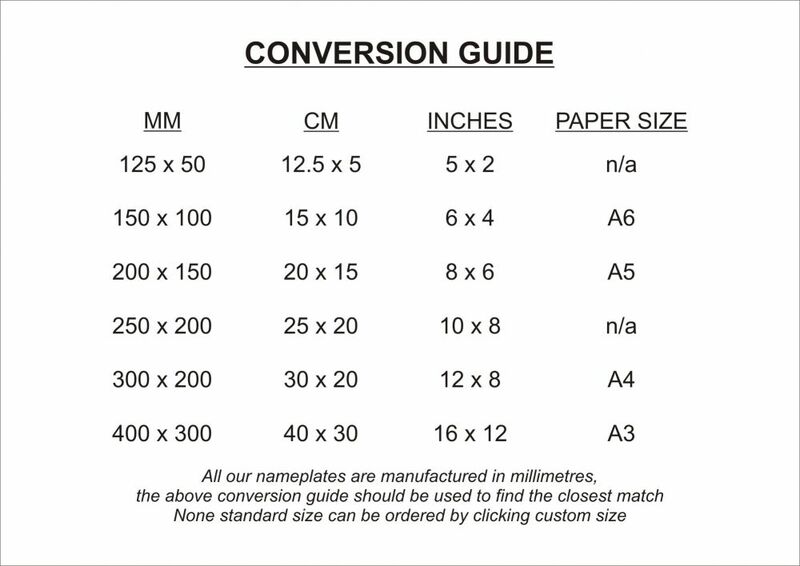 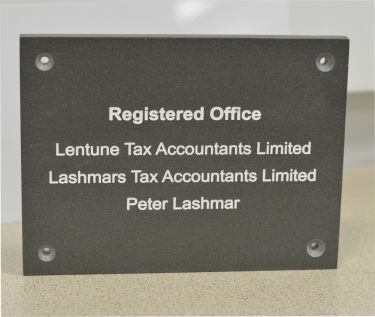 Company Logo’s and borders can also all be included to enrich your nameplate. The standard border incorporates scalloped corners which surround and highlight the screws. 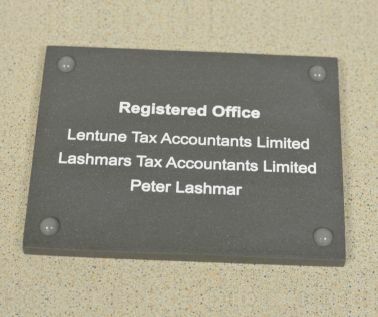 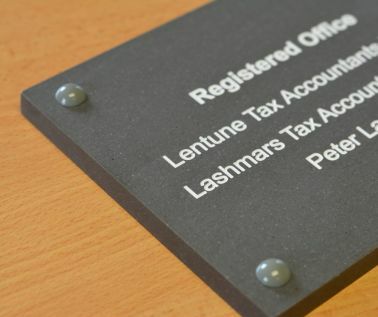 Slate Effect Business Plaques are supplied with 4 x fixing holes, screws and powder coated domed caps to conceal the screw head.